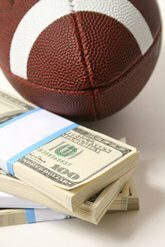 My weekly blog special the “Smart Money Report” Championship Round edition is here to help you guys out. Make sure to check here every Thursday during NFL season as I utilize all my sharps aka professional bettor contacts, Las Vegas Oddsmaker contacts, and NYC bookies to give you the info on what’s happening behind the counter in the NFL betting marketplace with every game on the board. NYC Bookie Source: My guy tells me he has a little more tickets on New England but more overall cash on Jacksonville. He said he opened this up at 9 and went up to 9.5 with early New England money. He said after that move it’s more Jaguars money moving him down to 8 so far. He even said it looks like he is heading to 7.5 sooner than later. Nothing to report on the Total. Vegas Oddsmaker: A little more than 50% of his wagers are on New England but my Vegas contact opened this at 9 and is down 8 already. He said also it’s sharp money on the Jaguars driving this line down early in the week. He had nothing on the total either. NYC Bookie Source: Sharps took the hook in NYC grabbing the Eagles at +3.5 moving him down to +3 on this game. He said a little over money came in moving him from 38 to 39. Vegas Oddsmaker: Almost 60% of his tickets on the Eagles here. The public and the sharps prefer the dog here. He bumped the Eagles from +3.5 down to +3 here. His total is up a half of tick from 38 to 38.5 with a little over interest.